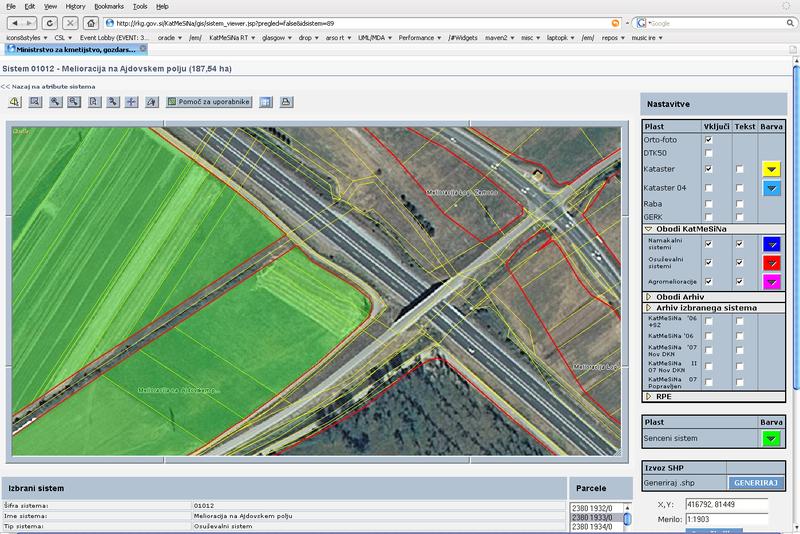 Sinergise developed the Meliorations application for the management of agricultural regions that are irrigated and to control irrigation infrastructure. 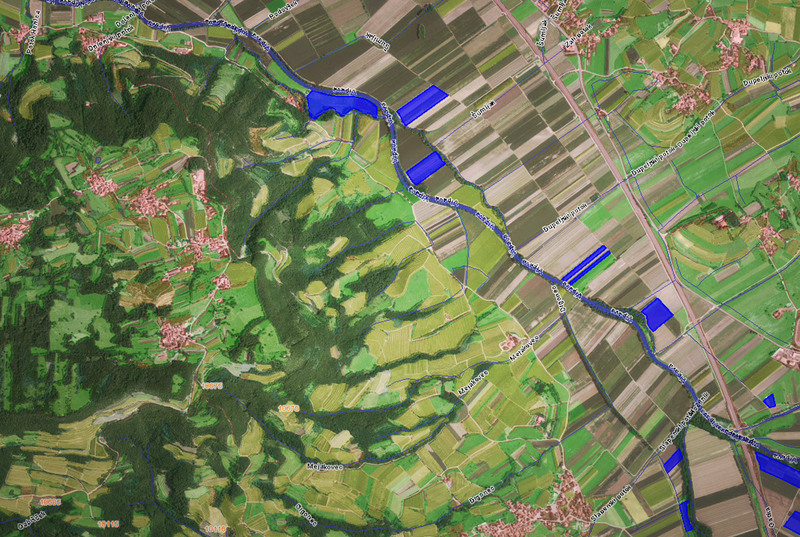 It is composed of several tools enabling different processes for controlling, planning, development of irrigation systems, and also for taxing, subvention assigning and refunding in case of droughts, heavy storms and other natural disasters. 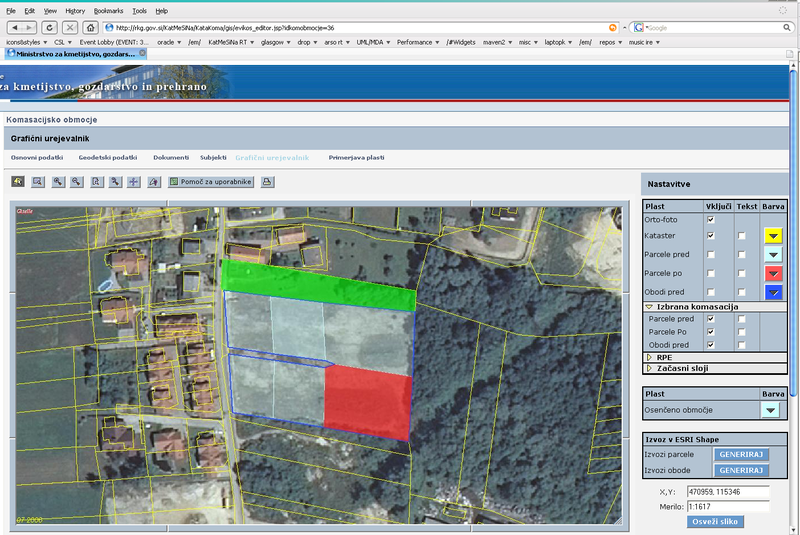 The application has four modules - graphical module for management and surveying of the irrigated parcels, cadastre maps, ortho-photos, and other topographic maps; graphical module to manage the irrigating systems; attribute database of irrigating systems; and the administrative - managing module.